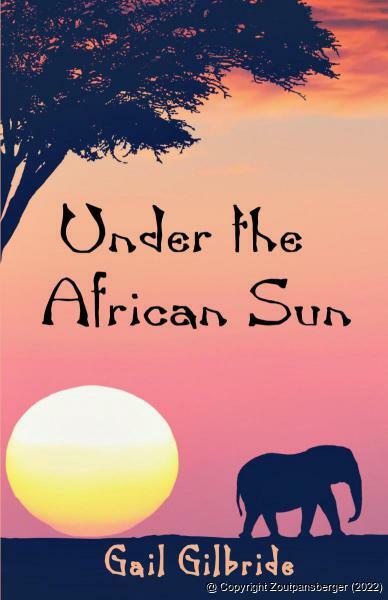 The cover of Gail Gilbride’s book, Under the African Sun. In November last year, South African author Gail Gilbride introduced her novel Under the African Sun to the reading public. It is presented as a work of fiction and takes place in the 1970s, at a time when the apartheid government waged a vicious war against opposing ideologies. The novel is, however, slightly more than imagination and the main character resembles a former resident of the Soutpansberg. The author has dedicated the book to Jimmy James, a name that many of the older residents of the Soutpansberg may remember. The James family bought a farm on the Witvlag road just after the Second World War and Henry J James (Jimmy) was born in 1949. His father, affectionately known as Oom Jimmy, was best known for his work as health inspector in the region. Jimmy went to school at Soutpansberg Primary and Louis Trichardt High School. He continued his studies at Rhodes University in Grahamstown, where he obtained a degree in political science. He then went on to become a lecturer at the University of Cape Town. Family members describe Jimmy as a quiet, gentle young man, passionate about horses and always full of adventure and fun. “At one stage he went overseas and hitchhiked across Europe with only a backpack to his name. He also spent some time on a kibbutz in Israel, working there voluntarily. Although a pacifist, he had a very strong sense of justice and he was strongly opposed to the system of Apartheid and the prejudices that existed in South Africa at the time,” writes Sandy James. Sandy is the principal of the Emmanuel Christian School just outside Louis Trichardt and is married to Jimmy’s brother, Chris. Gail Gilbride’s book has the political turmoil of the 1970s as a backdrop. Chris Jarvis, a lecturer in politics, is also an activist strongly opposed to the government’s racial policies. His girlfriend is the somewhat naïve Deborah Morley who just started as an intern at a Cape Town daily newspaper. Deborah knows very little of Chris’s role as an activist, but gradually gets embroiled in a murky world filled with security police and clandestine operations. Deborah at first prefers to stay in her world where a fairytale wedding and a house in the suburbs are more important, but the realities of the world around her start to sink in. Chris tries to shield her from the politics, but also regards the Cape Town social circles that she moves in as bourgeois. Both Chris and Deborah’s lives change dramatically when Chris is involved in a car accident that leaves him stuck to a wheelchair. When Chris continues to push Deborah out of his life as an activist, she decides to travel through Europe to try and find answers. As far as the story of Jimmy James is concerned, he was also involved in a car accident in the late 1970s. “There has never been clarity about the cause of his accident. He spent three months in a coma, and a few more months in hospital, after which he was sent home, a quadriplegic,” writes Sandy. Doctors gave Jim less than 10 years to live, but he never lost the twinkle in his eye and his witty sense of humour helped him to make the most of another 30 years. He spent a number of years on the family farm where he was cared for by his parents and family members. After his father passed away, it became necessary for him to move to a Cheshire home in Durban, where he was able to live semi-independently, with the assistance of care givers and qualified nursing staff. When Jim died in 2012, many testified of his quiet determination to face life’s challenges. “He passed away, a man of faith, a man who cared, and a man whose life was not wasted – someone who was willing to stand up against racial prejudice and injustice in spite of the dire consequences to his own life,” says Sandy. Sandy mentions that the James family is honoured that Gail has dedicated her book to Jimmy. “I believe that those who read it will come away from the pages with a much deeper understanding of our South African struggle and the fact that people of different racial backgrounds were prepared to put their lives on the line for a cause that transcends racial barriers. The book does not only give insight into part of the history of South Africa, but it is a global message that should touch the hearts of people across the world,” she says. 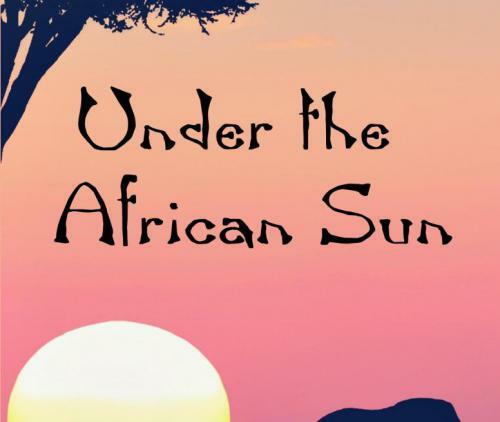 Under the African Sun is available from bookstores such as Exclusive Books, as well as online stores such as http://www.loot.co.za and http://www.amazon.com. Anton van Zyl has been with the Zoutpansberger and Limpopo Mirror for over 25 years. He graduated at the the Rand Afrikaans University (now University of Johannesburg) and obtained a BA Communications degree. He is a founder member of the Association of Independent Publishers.